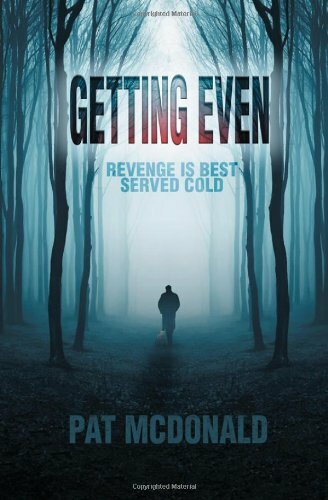 Getting Even: Revenge Is Best Served Cold from @issyblack Splendid #murder #mystery – The Diesel-Electric Elephant Company. Getting Even, from Pat McDonald. 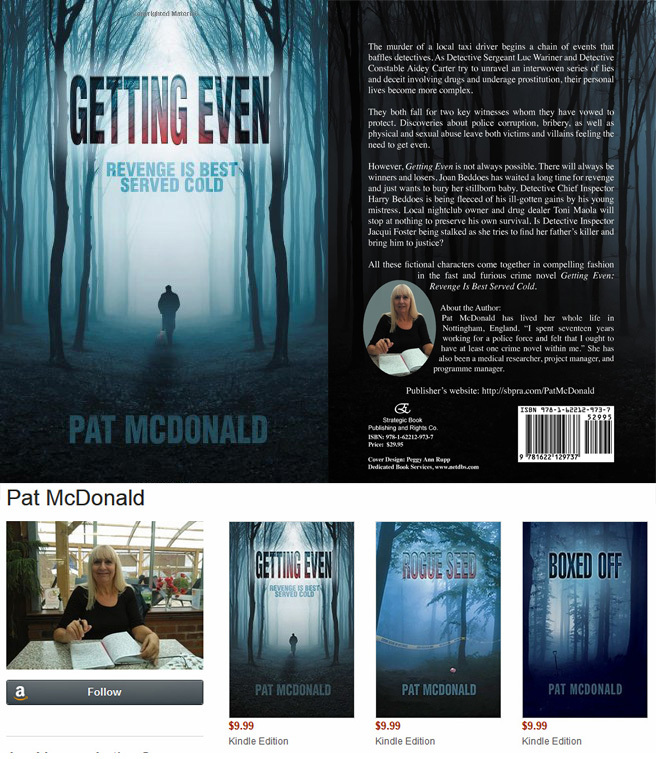 Getting Even: Revenge is Best Served Cold, from Pat McDonald. Clickez vous here to see the book on your local Amazon. There’s a quality to the timeline of this book that you just don’t ordinarily see in other books, or in television series or even films. Murder; violence; intrigue: these sudden outpourings of action are all here – but so is a flavour of the real-world sequence, of the gaps between crimes into which all of everyday and not-so-everyday regular human life is poured. It’s a skilful balance, and it’s struck here well. As murder-mystery tours go, this bus takes in just the right number of crimes while leaving time for tea and reflection in-between. Forget flashy, glitzy and in-your-face dramas. This is a book with more of an edge, and with deeper foundations. It is a book to make you finally replace the bulbs in the PIR security lights, to make you actually make a genuine effort to teach the budgie to bark like a Rottweiler, to make you think before you open your front door wide to the world after dark. Forget sanitised, everyone except the victim and the criminal live happily ever after dramas. Real life isn’t like that and neither is this book. Half of the characters didn’t live happily before, half of them will never live happily again and the remaining half just don’t live through the action long enough to be able to check my arithmetic. Professionalism is challenged, neat and tidy stereotypes of relationships are challenged and, in a realistic way, Police procedure is challenged just as it must surely be during each and every real-world day. This is a book that will transport you to the roads and streets, the houses and nightclubs and even the Portakabin temporary offices of England. You’ll be mixing with plausible people, not with stylised caricatures and showy provincial or parochial offerings – this demographic is the middle ground, the modal ground, the larger portion of the bell-curve, the reality that is so rarely seen in the media. The crime hurts, it offends sensibilities, it’s painful to think about and the wrong people often get killed while the wrong people walk free. This realism, as much as laying the series foundations in this first book of the trilogy, is why not all loose ends are tied by the end of the book, why not everyone has a happy-ever-after ending. The author’s writing style is highly readable and the plot builds itself as neatly and as solidly as a professional brickie builds an outhouse when he knows that the boss is watching. The formatting of the book is spot on – and you do get a lot of book for your money. The violence, while horrific, is not graphically described or over-played. The sexual content is minor, in context and tastefully written. While this is a book for adults it would also be accessible to a mature teen. Splendid stuff. Pat McDonald on Amazon here.